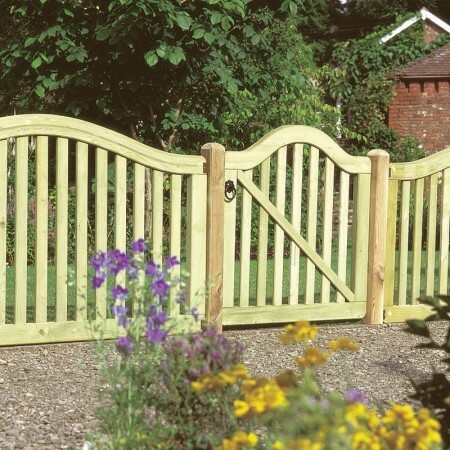 Why have a standard gate into your garden when you can choose something that truly stands out and welcomes guests to your yard with style? 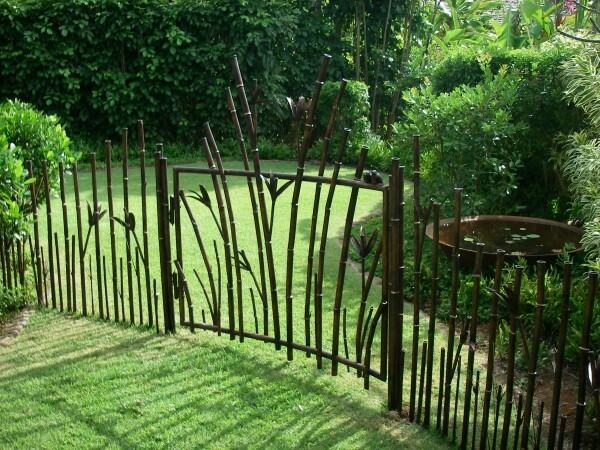 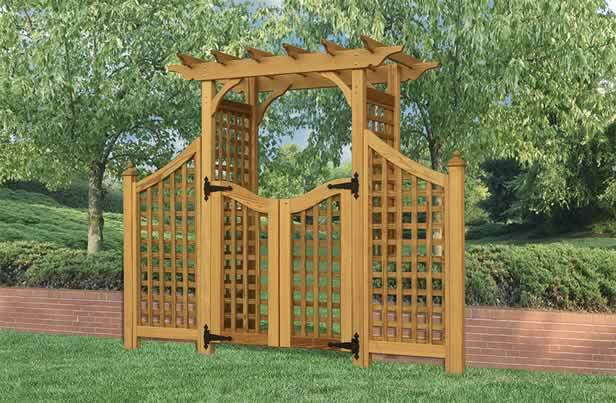 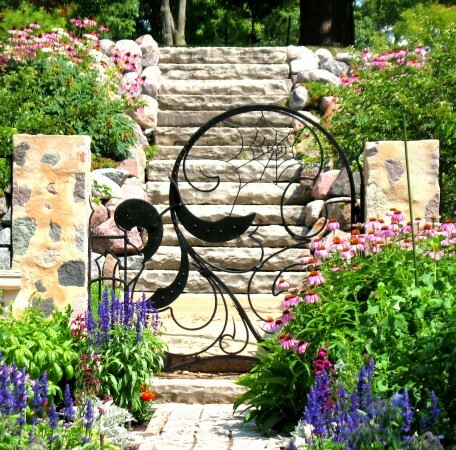 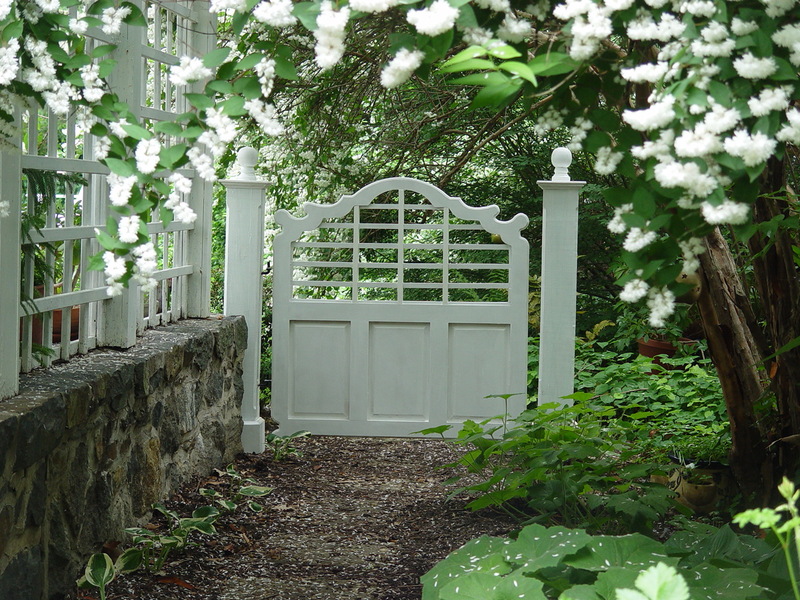 Garden gates can be wood, iron, stone or any combination thereof. 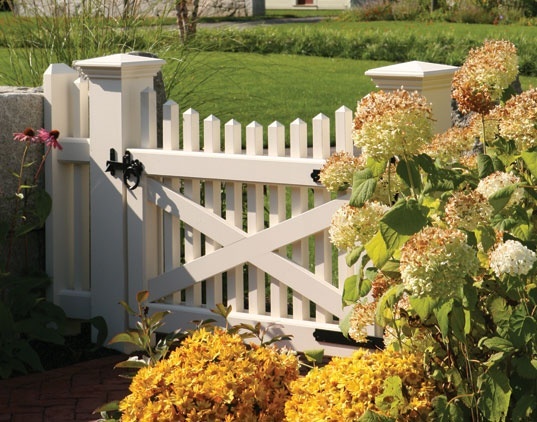 From classic styles to unique custom creations, a garden gate is a notable feature for your outdoor space. 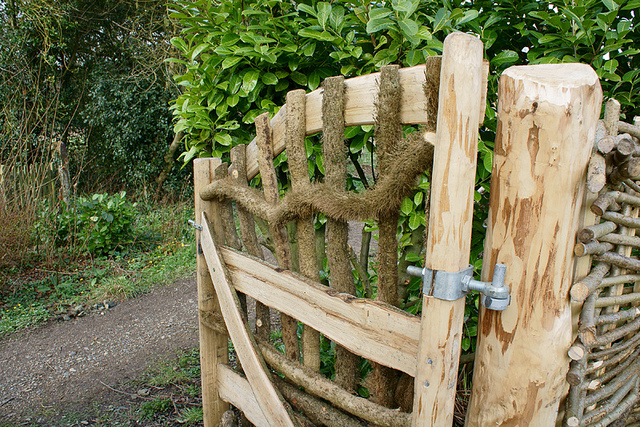 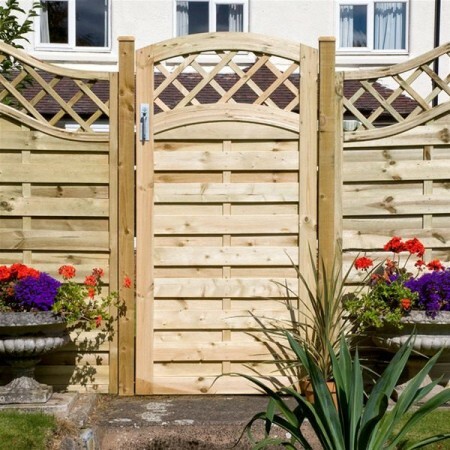 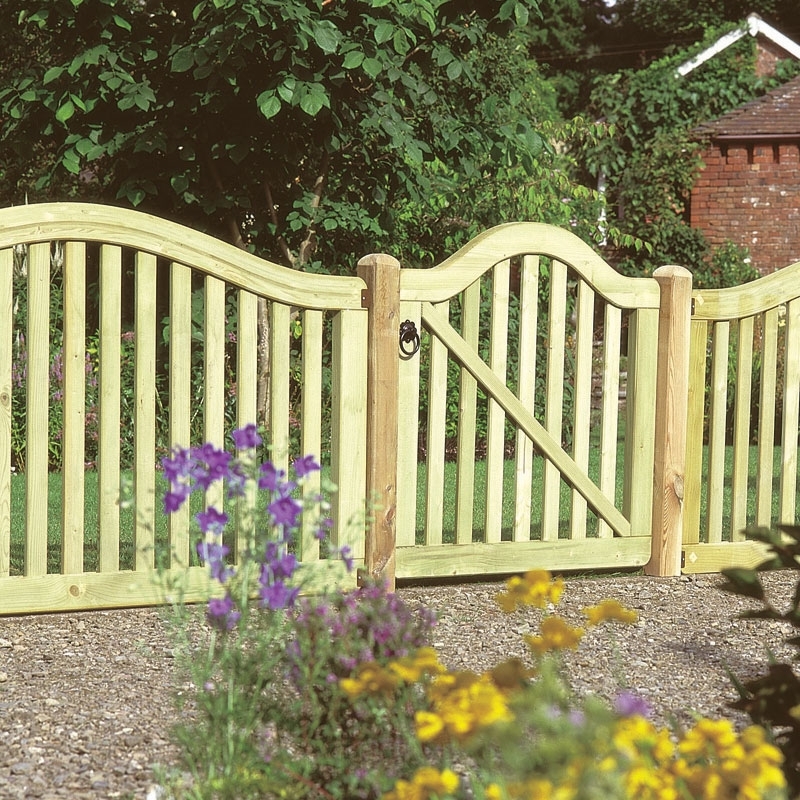 Wood gates are the standard traditional way to construct an entrance into the garden. 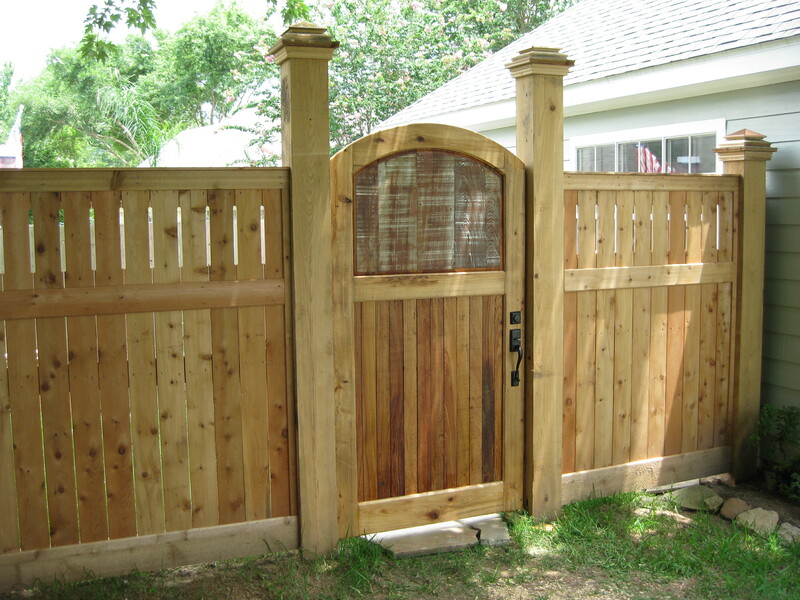 Gates are integrated into the fencing of a yard and flow nicely with the overall design. 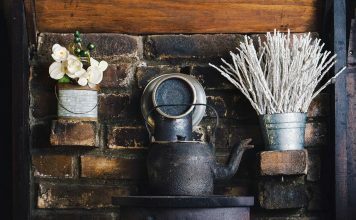 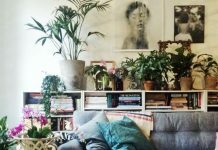 Try adding extra elements, such as panels, columns and interesting hardware to make yours unique. 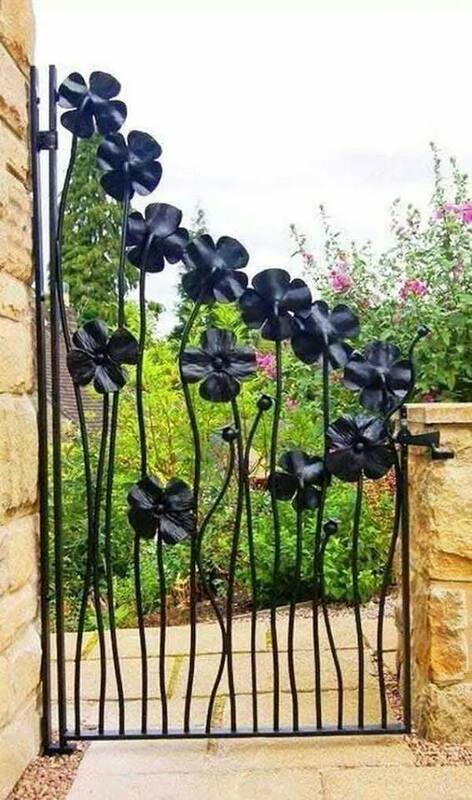 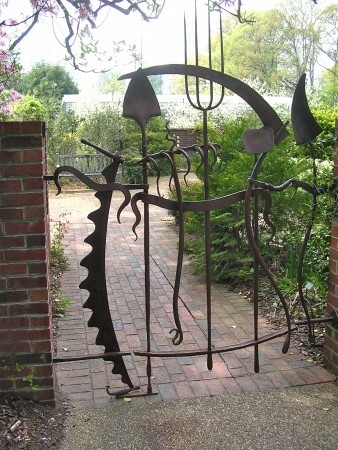 Iron garden gates make a stylish statement. 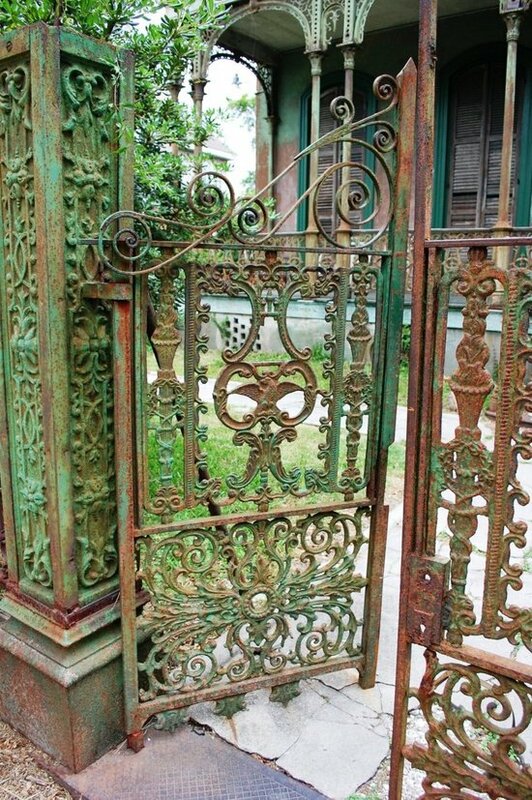 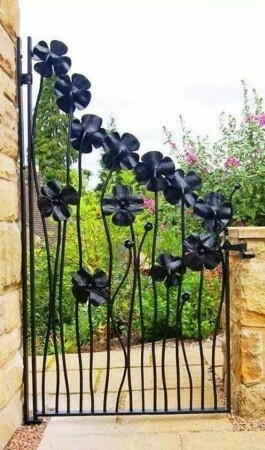 They can be hand-forged for a new custom look or you can repurpose old gates available at salvage yards. Either way, an iron gate is more for decoration than privacy, but they can be very sturdy and make for a grand entrance into the garden area. 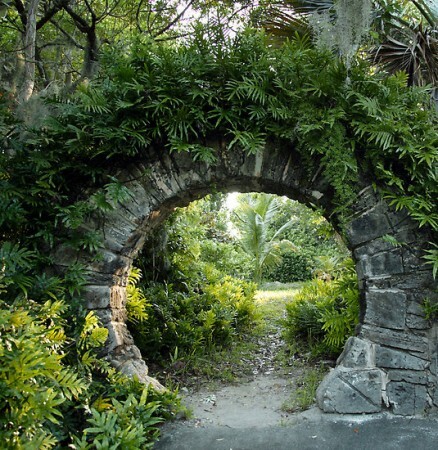 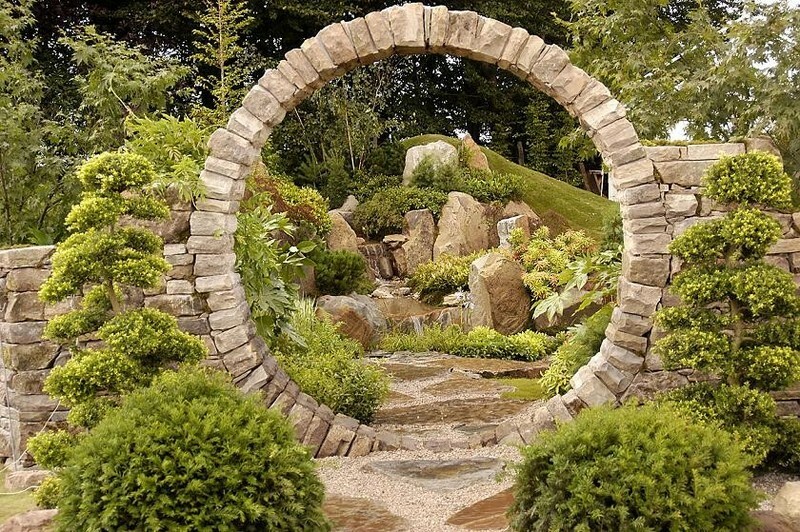 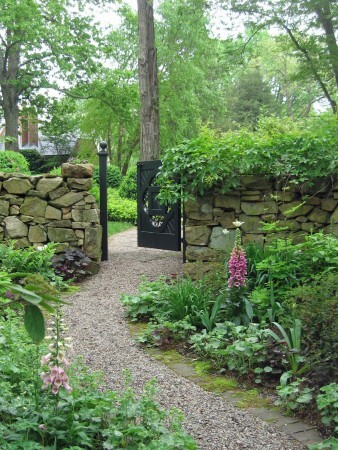 Stone garden gates are not so much gates as arches that lead into your outdoor space. 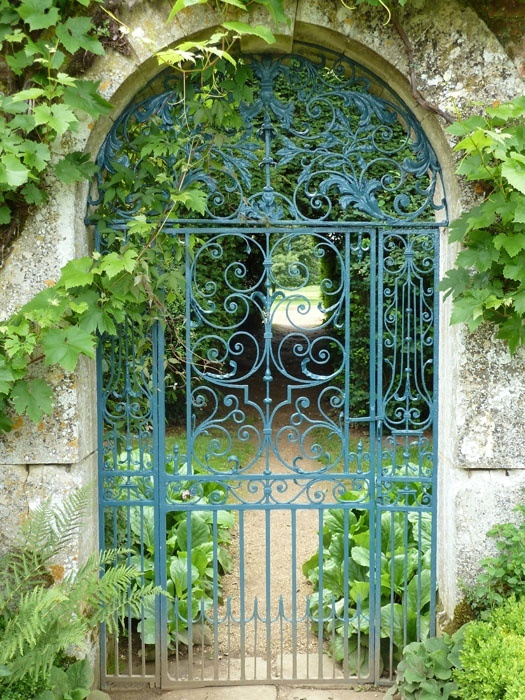 Generally a component for an iron or wood gate, stone structures can be quite unique. 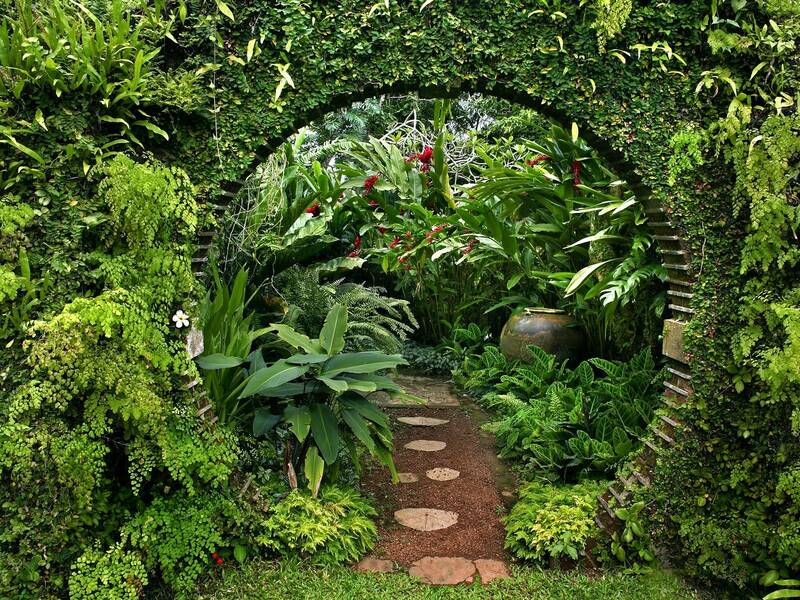 Curved and covered with vines and plants, they appear to be a natural element of the landscape. You can create smaller versions of garden gates within your backyard to divide space and add a charming touch to the space. 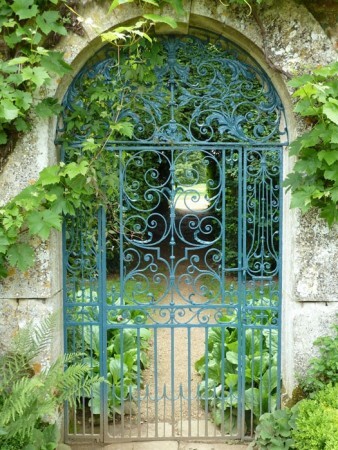 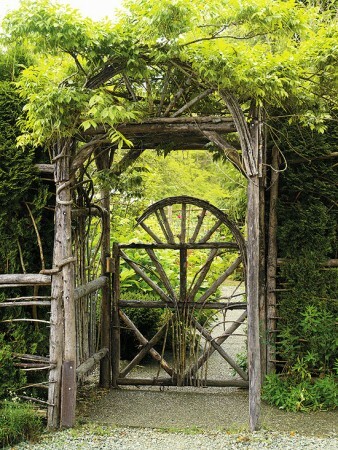 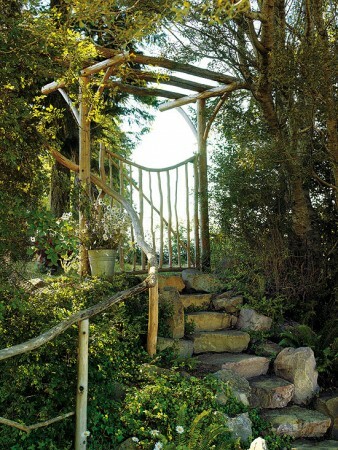 Using doors, recycled iron gates or stones to fashion a gate is one way to achieve the secret garden appeal. 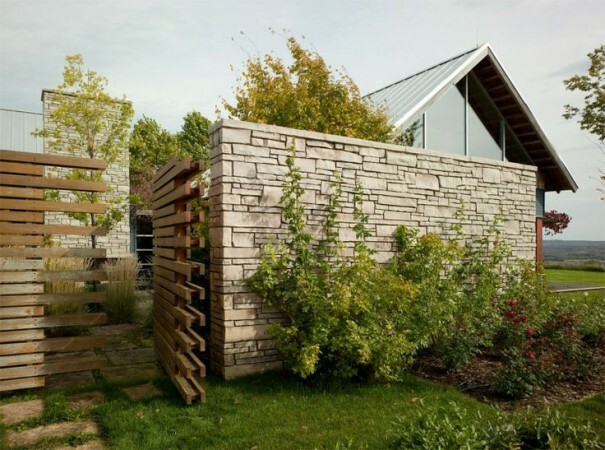 A garden gate adds structure and interest to the yard. Whether you choose to include a grand iron gate or simply enhance a standard wood gate integrated into fencing, remember that this a great feature for your home. Front yard or back, at the entrance or within a garden, garden gates are the perfect garden accompaniment.